In a previous chapter, I described the installation process for SQL Server 2012 Express which included all the bells and whistles of the advanced services package. While it’s great to have all the tools at your disposal to learn from, some people might not want such a large installation on a particular machine or the administration that goes with it but might still want the basic database capabilities of SQL Server on their desktop. In this case, SQL Server 2012 offers a new edition called LocalDB. LocalDB is a minimized version of SQL Server Express specifically for developers who still need all the programming features including the ability to create stored procedures and other objects within an instance of SQL Server. 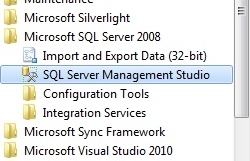 It has a few restrictions that the average beginner probably won’t be bothered by and you can connect to it with SQL Server Management Studio (SSMS) or other tools to create and manage databases. You can even install the AdventureWorks sample database to work with through an instance of LocalDB. In this article, I’ll describe the process of installing both LocalDB and SSMS in order to create a small desktop database environment to work with as a developer or a beginner in database design. This entry was posted in Articles, Database Design and tagged LocalDB, SQL Server on April 18, 2014 by Andrew Comeau. In the last part of this series I wrote about SQL Server Management Studio (SSMS), the interface that enables you to work with SQL Server objects such as databases and tables. The program enables you to do quite a bit with a SQL Server installation. You can create entire databases and manipulate all the objects within them just through context menus. Having a graphical interface is nice but the real work of SQL Server is done through commands issued to the service which the menu options in a program like SSMS often do for you. If you really want to be knowledgeable about SQL Server, it’s important to learn the syntax of these commands and how to write and issue them on your own. 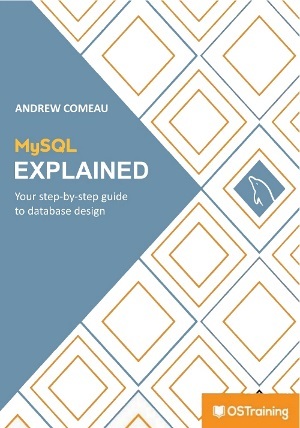 This entry was posted in Articles, Database Design and tagged SQL Server on April 18, 2014 by Andrew Comeau. Once you have SQL Server and all the necessary updates installed, the next step is to learn how to create databases and work with them. The easiest interface available to the beginner is Microsoft SQL Server Management Studio (SSMS), a graphical environment where you can view and manipulate all of the databases and other objects on your SQL Server instance and perform other advanced functions. If you installed the Express edition with Management Tools or Advanced Tools as detailed in the last chapter, you should have SSMS installed and showing in the Program Menu under whichever version of SQL Server you have installed. Just click on the program to open it. Just like with any software, SQL Server uses a standard installation program to install its components on your system. Depending on the edition that you’re using, you will be installing it from media that you purchased or from the free install packages that you can download from Microsoft’s website. Unlike other installs, the SQL Server installation can be a long process as there are a number of components, requirements and options to consider, many of which I’ll be detailing in this article. In an earlier series of articles , I wrote about getting started with Microsoft Access, which is one of the foremost desktop database packages available and an excellent tool for small to mid-size database projects. While it was not the first database software that I used, it was the one that took me from novice to professional status. Once I reached that level, however, I had to start learning more advanced tools in order to advance in my career and take on new projects. One important set of tools was Microsoft SQL Server which remains one of the most popular network database systems on the market. This entry was posted in Database Design and tagged SQL Server, Windows on November 5, 2013 by Andrew Comeau.